Photo by Hildor Hoffmann, who tells; This plant is sold as C. p., but it might be something else. 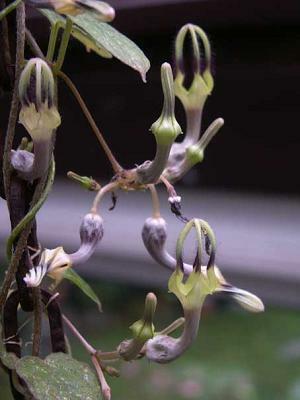 Synonyms: Ceropegia kwebensis N.E. Br. 1902. 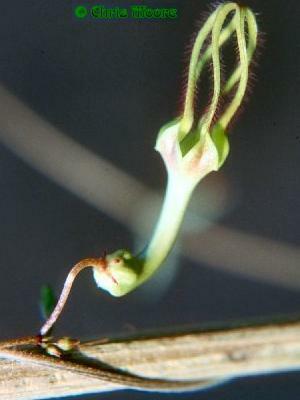 Ceropegia kaessneri S. Moore. 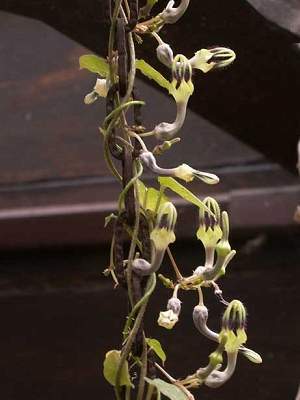 Ceropegia thysanotos Werderm. 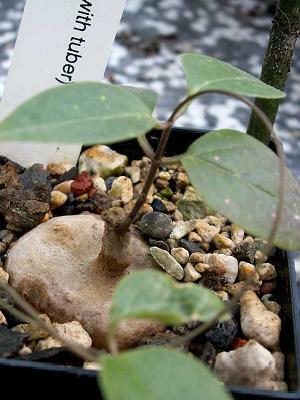 This member of the Asclepiadaceae family was given this name by Karl Moritz Schumann in 1893. 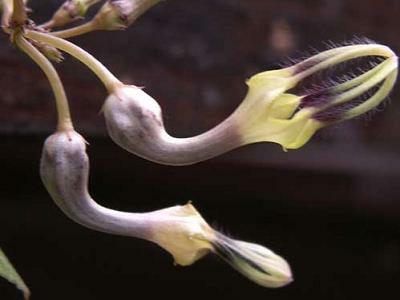 It is found in Angola, Botswana, Congo, Namibia, Tanzania, Zambia, Zaire and Zimbabwe, growing in a well drained soil with some water and some to lots of sun. 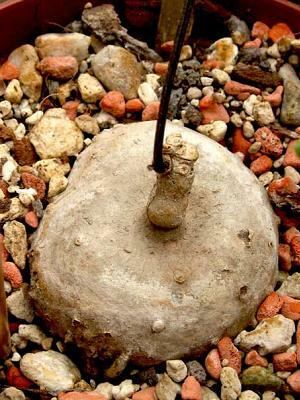 The caudex can grow to three centimetres in diameter, and the vines reaches two or even four metres.